A. S. Baranski's group studies the use of ultramicroelectrodes for electrochemical analysis, and also studies flow-injection analysis and electrochemical detectors for capillary electrophoresis. M. F. Paige's group develops ultrasensitive and ultrahigh resolution measurement techniques, such as atomic force microscopy and single-molecule fluorescence spectroscopy, for the study of biological systems. S. G. Urquhart studies the structure and properties of nanostructured organic materials, exploiting novel synchrotron spectroscopic and microscopic techniques, with the goal of understanding the thermodynamic and kinetic factors that control pattern formation and molecular orientation in these systems. I. Burgess is examining the influence of electric fields on the interaction of metal nanoparticles with supported, biomimetic membranes such as phospholipid bilayers. The overall goal is to gain new insights into electroporation-assisted drug delivery. D. R. J. Palmer studies the kinetics of enzyme catalyzed reactions in order to understand the relationship between the structure, function, mechanism and evolution of enzymes. In particular, his group is interested in the bioorganic chemistry of inositol, and in enzymes considered to be antimicrobial targets. M. S. C. Pedras' major research interests are directed at understanding the role of the chemical and biochemical mediators involved in the interaction of ecologically important organisms, with the ultimate goal of developing environmentally safe strategies for controlling plant pests and pathogens. C. Phenix’s research program is focused on developing strategies for PET imaging enzyme activity in animals and humans. The skills developed in his group include synthetic chemistry, enzymology, cell based assays, radiochemistry and PET imaging. E. W. Price's research program focuses on the synthesis, fundamental chemistry, and characterization of new radiometal-based radiopharmaceuticals (e.g., radioactive metals combined with peptides and antibodies) for both imaging and therapy of many types of cancer and bacterial infections. This multidisciplinary research includes organic synthesis, inorganic coordination chemistry, labeling with radioactive isotopes, cell and bacteria assays, and mouse studies. D. A. R. Sanders' research uses protein crystallography to investigate the relationship between enzyme structure and function. His group also uses enzymology, along with a number of other and other biochemical and biophysical approaches, to study enzymes and protein-protein interactions. S. R. Foley's group is interested in the synthesis and applications of transition metal complexes that exhibit interesting reactivities or catalytic transformations. Recent work includes studying the applications of iminoisoindolines for formation of palladacyclic species and N-heterocyclic carbene complexes of nickel for carbon-carbon coupling reactions. Other interests include the design of single-component catalysts for the ring opening polymerizations of cyclic esters. A. P. Grosvenor’s group aims to develop new solid-state ceramic materials capable of sequestering hazardous radioactive waste such as uranium. These materials are studied with X-ray diffraction, X-ray photoelectron spectroscopy, and X-ray absorption spectroscopy, using the synchrotron radiation available from the Canadian Light Source, which is located at the University of Saskatchewan. T. L. Kelly's research interests focus on using new materials, nanostructures and cell designs to improve the efficiency and longevity of organic photovoltaic devices. Research in this interdisciplinary area involves both organic and inorganic synthesis, materials science, electrochemistry, plasmonics and photonics, as well as cell fabrication and testing. strained and reactive organometallic compounds that are of fundamental importance and can serve as precursors to new polymers. His research also applies matrix-isolation FTIR spectroscopy and time-of-flight mass spectrometry to investigate highly reactive compounds that are of relevance in various areas of inorganic and organometallic chemistry. R. W. J. Scott is investigating the synthesis of well-defined nanoparticles and nanowires for applications as catalysts and solid-state gas sensor materials, as well as materials synthesis in ionic liquid solvents. A. S. Baranski studies the kinetics and dynamics of interfacial electron transfer and ion-transfer processes such as reduction/oxidation and electrosorption at the metal/solution interface. R. K. Bowles uses statistical mechanics and computer simulations to investigate how nucleation phenomena control the formation of complex structure in both bulk and nanoscale materials. His group is also interested in understanding how particle packing relates to the properties of amorphous, glassy materials. S. R. Foley's group investigates the activity of organometallic catalysts for the formation of polymeric materials, including studies looking for systems that can co-polymerize cyclic esters with traditional monomers to create more durable, biodegradable polymers. A. P. Grosvenor’s group aims to develop new solid-state ceramic materials capable of sequestering hazardous radioactive waste such Uranium. These materials are studied with X-ray diffraction, X-ray photoelectron spectroscopy, and X-ray absorption spectroscopy, using the synchrotron radiation available from the Canadian Light Source, which is located at the University of Saskatchewan. J. Mueller's research group is developing new metallopolymers, a family of compounds that incorporate metals into the polymer backbone. This gives rise to new materials with unique properties that are very different from traditional, organic based polymers. M.F. Paige's group develops ultrasensitive and ultrahigh resolution measurement techniques, such as atomic force microscopy and single-molecule fluorescence spectroscopy, for the study of biological systems. S.G. Urquhart studies the structure and properties of nanostructured organic materials, exploiting novel synchrotron spectroscopic and microscopic techniques, with the goal of understanding the thermodynamic and kinetic factors that control pattern formation and molecular orientation in these systems. L. D. Wilson is interested in developing new highly porous materials for a variety of applications including the selective adsorption of contaminants from water. M. Gravel’s group is developing new tools for asymmetric catalysis, focusing on organocatalytic systems, and applies these new methods to natural product synthesis. M. Majewski's research is directed towards developing new synthetic methods and demonstrating the utility of these methods in short syntheses of chiral natural products in optically pure form. D. R. J. Palmer's research interests include the chemical synthesis and biosynthesis of enzyme substrates, pseudosubstrates, and inhibitors, as well as chemical models of enzymatic reactions. M. S. C. Pedras' research efforts are directed at: (1) the rational design and synthesis of selective plant protection agents as well as the synthesis of agronomically important phytoalexins and phytotoxins, and biologically relevant secondary metabolites; (2) the isolation and structure determination of natural products from plants, fungi, and bacteria with ecological roles in natural and cultivated ecosystems. D. E. Ward's research program encompass the design, development, and demonstration of new strategies for application in syntheses of natural products and their analogues. R. K. Bowles and his group are interested in the statistical mechanics, thermodynamics and computer simulation of metastable liquids, with a particular focus on understanding nucleation and glassy dynamics in nanoscale systems. I. Burgess studies processes at electrified interfaces. Metal and polymeric nanoparticle assembly and organization on single-crystal electrodes. Photochemically active surfactants. Nanoparticle interaction with supported biomimetic membranes. X-ray and neutron scattering techniques. R. P. Steer's research interests are in the areas of spectroscopy, photophysics and photochemistry, with an emphasis on measuring structures of the electronic excited states of polyatomic molecules and the dynamics of their relaxation as a function of environment using laser methods. Also studied are the application of emission spectroscopy and excited state photophysics to solving problems in biology, biochemistry and analytical chemistry. 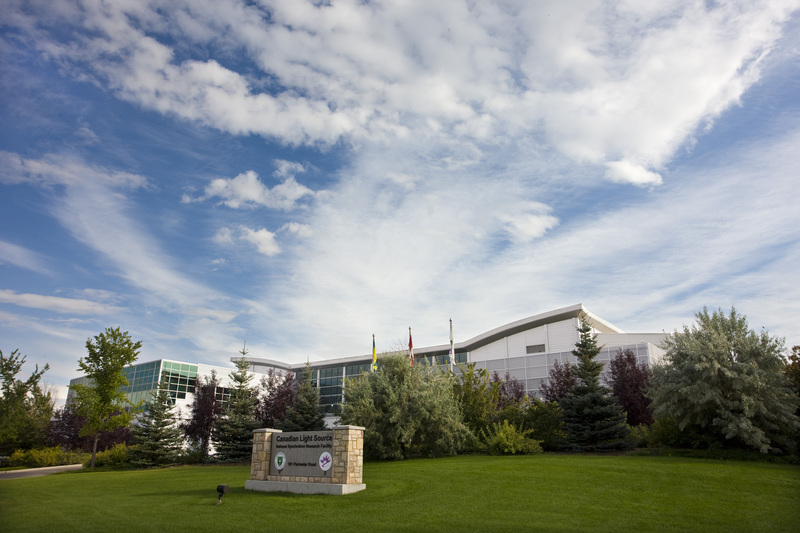 The University of Saskatchewan campus is also home to Saskatchewan's only cyclotron and radioisotope facility, the Saskatchewan Centre for Cyclotron Sciences. 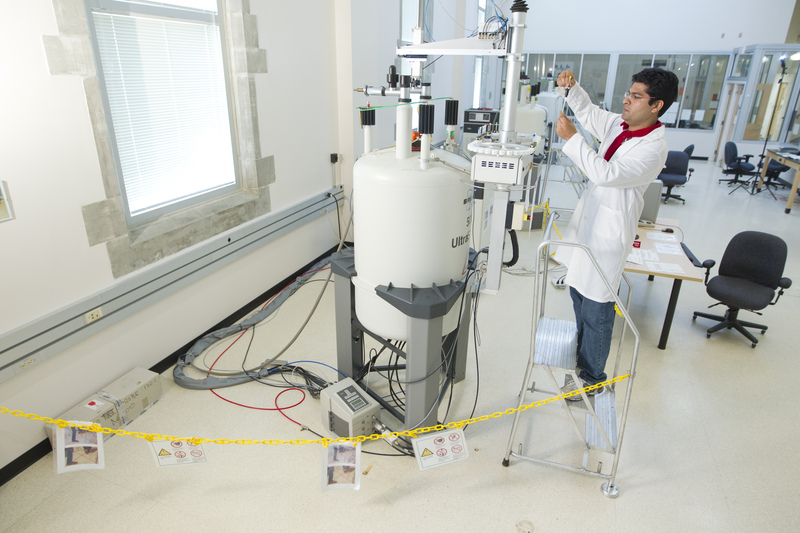 The Department of Chemistry has recently hired two faculty members whose research will utilize this facility for their radiochemistry research programs.